Have you been having the same repeatedly dream? It’s one of those dreams that if you believed you were worthy of the vision you would pursuit it without self doubt and fear. Could the reason this dream keeps coming to you be it’s your destiny? That dream is like a burning bush soaring to be birthed. 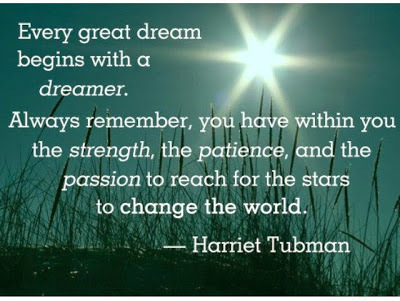 Great dreams come to those who will have an impact on the world! Your dreams are not just meant for you. They were meant to be shared with the world to change lives, uplift spirits, have an affect on people, and have an impact on people. Your dreams can be a light that will pave a new pathway for future generations. It will be a shame to take your great dreams to your grave. Are you ready to build and unleash that great dream?